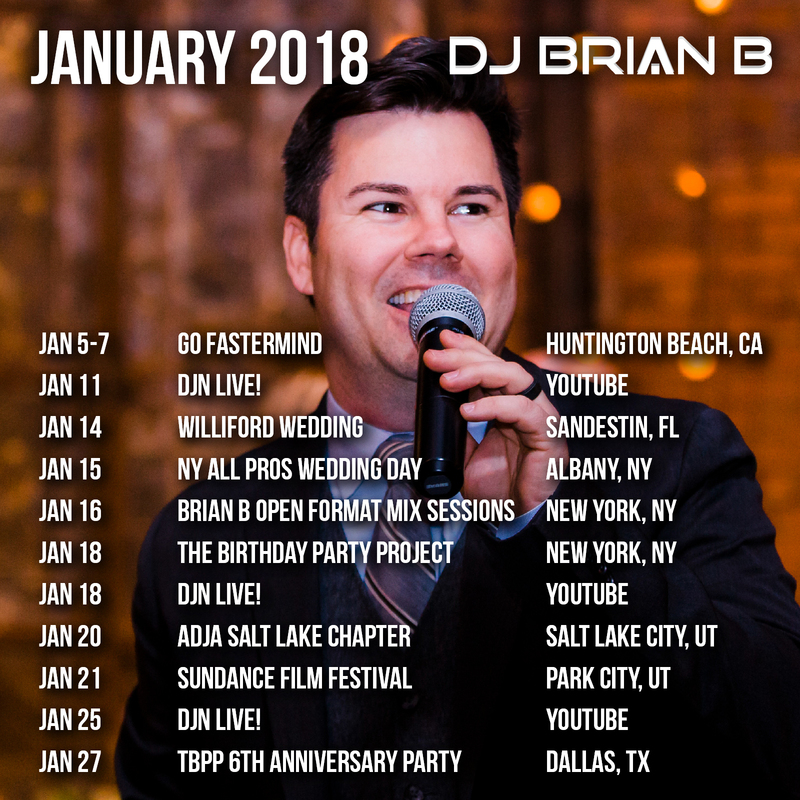 The official January 2018 Brian B Event Schedule is lock and loaded. Typically, the Winter is quiet in the DJ industry. I’ve got a little bit of everything going on – industry shows, corporate events, a wedding, a mix show, some non-profit events and the start of a weekly YouTube show for Disc Jockey News. No slow down in sight. Check my calendar here to see which ones are public events. I’d love to see you!